This app is a thing of beauty. This will become Hari Seldon’s Prime Radiant some day. 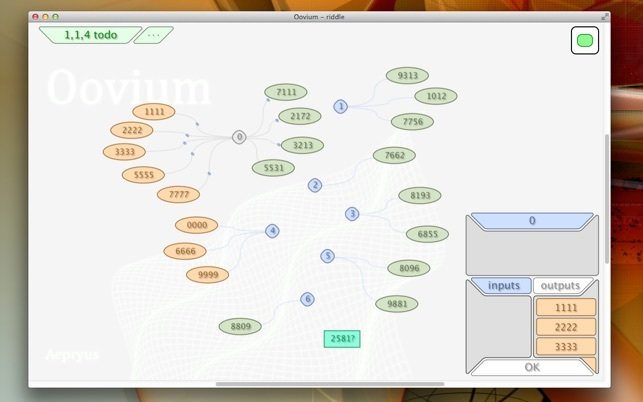 Oovium is not an attempt to rehash old outdated inventions, but it subsumes much of their functionality. 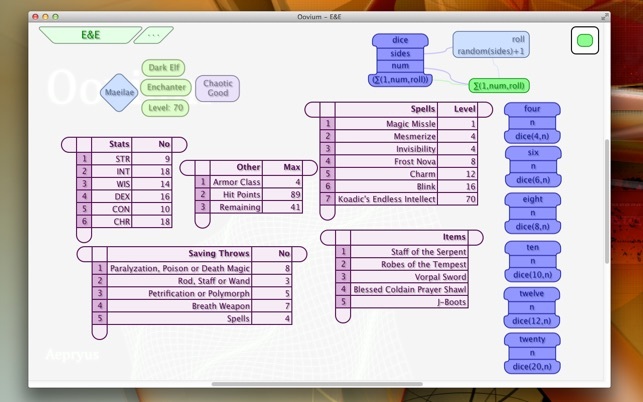 The calculator, spreadsheet, concept map, programming language: Oovium is all of them and it's none of them. 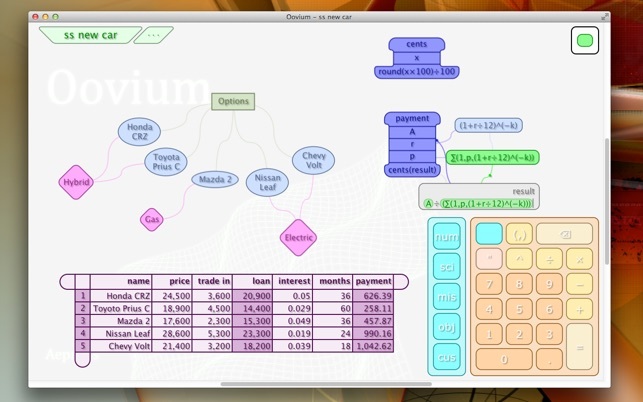 Oovium is the first (but certainly not the last) of an entirely new class of app, the calculation sandbox. It has been made possible by the invention of the touch device and Oovium's clean, efficient and tactile interface, designed for such devices, has been part of its DNA since its inception. At its heart, Oovium aspires to make powerful, sophisticated and complex abilities (such as those currently available only to programmers) accessible to a wider audience. Oovium understands that increasing accessibility does not mean dumbing down an application by hiding complex functionality, it means making that complex functionality understandable by creating explicit visual representations for it. - InstBub is an instance of an object, usually a number, which in turn may be the result of an expression. 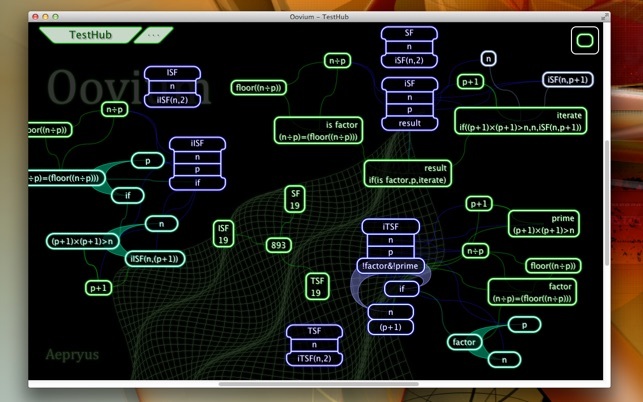 - MechBub allows the user to define their own functions. - GridBub allows for a tabular arrangement of numbers and expressions similar to a spreadsheet. 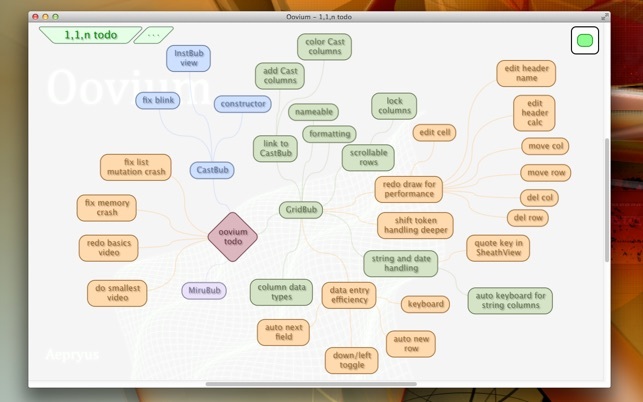 - TextBub is a node that can be connected to other TextBub nodes in order to create concept maps. 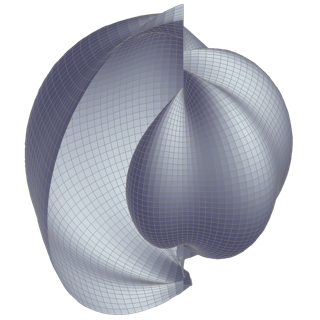 These bubbles can be connected to each other in order to render sophisticated calculations in a visual (and aesthetic) way. Libraries of custom functions can be developed and included in other aethers when needed. The concept of Oovium has six different aspects; in its current form it contains only one of these six aspects. It is a highly ambitious project with much more planned, that hopes to empower users; it hopes to change the way people think about and work with their computers; in short, it hopes to change the world! 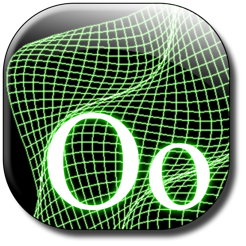 Come help drive its functionality; come help make Oovium happen! © 2017 Aepryus Software, Inc.